This is the world’s fastest S2000, and it’s F22 powered (4 cylinder for those that don’t know)! Truly amazing that it’s pumping over 375HP per cylinder. Making 1351whp on Real Street’s dyno (over 1500HP at the crank), this car blasts down the 1/4 mile clicking off a 6 second pass resetting their own record. 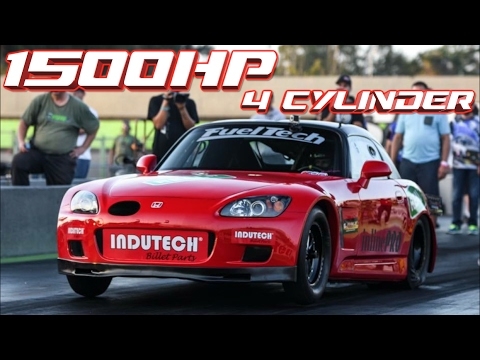 Just watch the video of this awesome S2000 with 1500+ HP below and leave a comment or share this one with your friends. 2500HP GTR on RAILS into the 6’s! 18 Yrs Old Jeep driver crashes into semi-truck and Explodes!